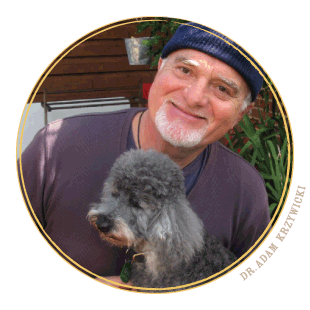 Dr Adam Krzywicki practised as a vet in Poland and Austria for many years before coming to Australia, where he developed a passion for cooking and a keen interest the healing properties of whole, organic food. Adam has combined his skills, passions and a love of dogs to develop Organic Dog’s Dinner, a complete health food for your pet. When Bert and Ernie came into his life he began cooking for them, using the same philosophy he applies to his own food. Now 14-years-old, Bert and Ernie still look and behave like dogs in their prime. Adam sources all the ingredients for Organic Dogs Dinner from certified organic retailers and producers.